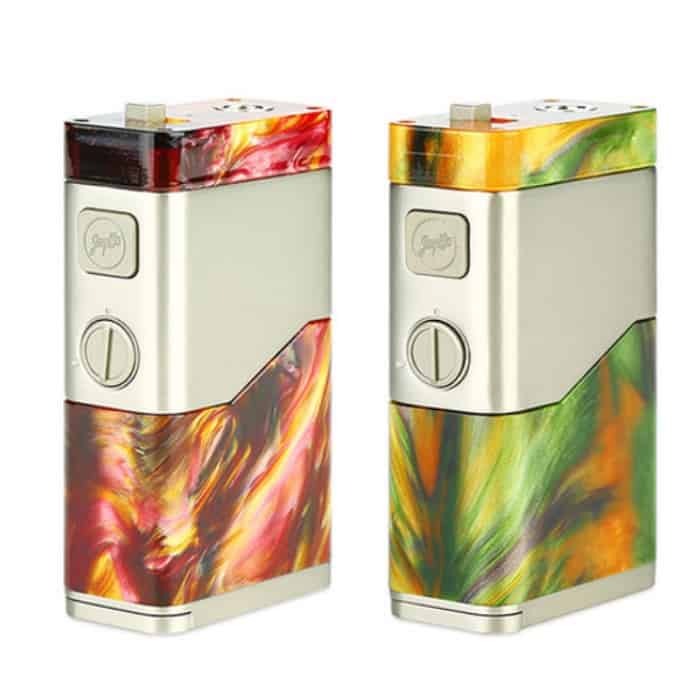 A beautiful infusion of alloy metal and resin frame, the Wismec Luxotic NC Mod presents a luxurious masterpiece while maintaining top-level ergonomic functionalities. Powered by dual 20700 or 18650 high-amperage batteries (sold separately), the Luxotic NC implements an adjustable voltage output system, controlled via a voltage controller ring with a range of 1.3V to 5.3V. Furthermore, it has the option of adjusting power modes between Series Mode and Parallel Mode. Love this beast… Can be set to series or parralel with the flip of an switch..
A real face puncher mech.